Happy Friday. Hope your week was great with exciting new things happening. I had a rather lazy week. I know all you working stiffs are relieved it’s Friday, but for me the countdown to Monday begins. I work in the school system so I have been off all week for Spring break and was a lady of leisure. I did manage to fit in some weight training sessions and treadmill drills, both at my gym and my condo shared facilities. This morning I decided to bite the bullet, get out of bed (before 11 am) and go to spin class. But NOTHING, NADA, ZILCH happens before coffee. Hmmmm. Decisions, decisions. Which should it be? Finally went for the breakfast blend. 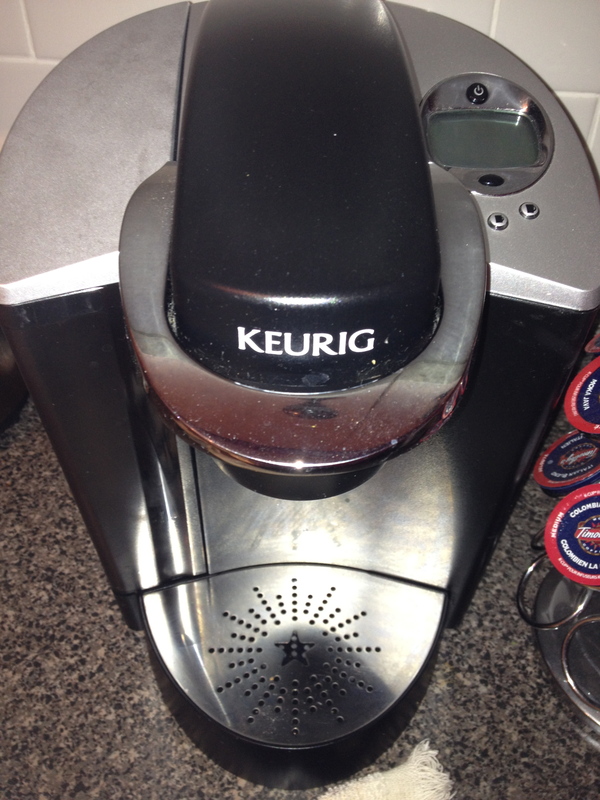 Love my Keurig single cup. 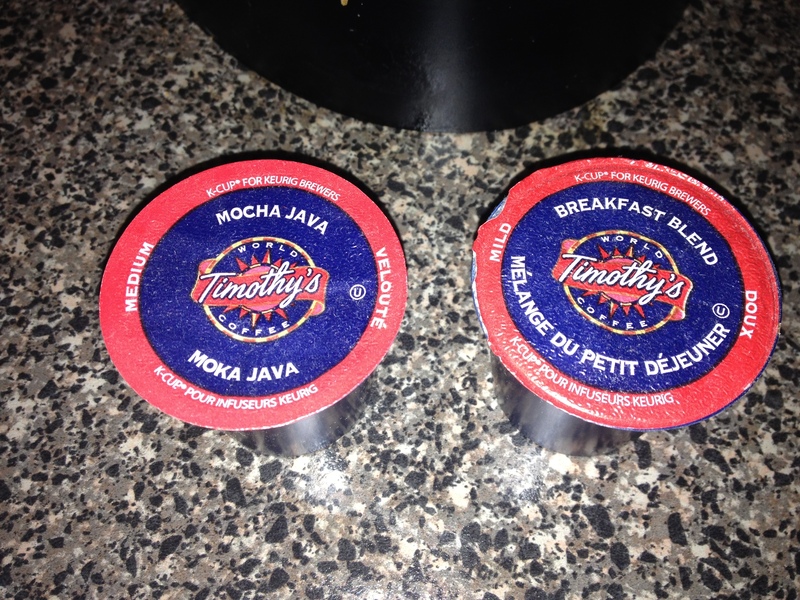 Now infused with java, I headed on over to spin. 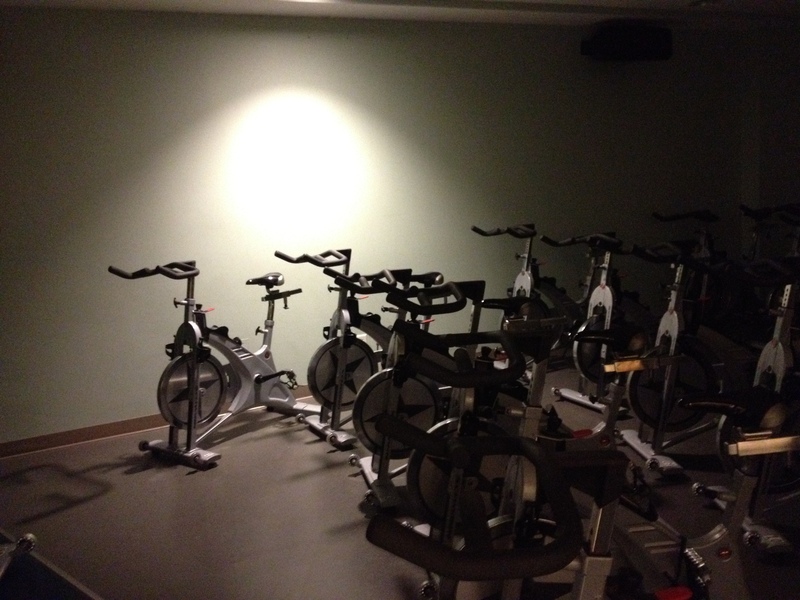 When I first joined my gym, I loved spin class and was a regular participant. I became addicted to the fast paced, adrenalin pumped feeling. When Cynthia, the regular instructor, could no longer teach the evening class that I attended, I stopped going. I just loved Cynthia’s energy level and humor she added to her classes, not to mention her great playlist of music. When I read blogs from those that teach spin, I can tell they put forth a great effort to make a stellar music selection. As a participant, I can truly say the music really helps make the class more exciting and it is appreciated. Wasn’t I delighted to discover that Cynthia now teaches a Friday morning hour-long spin class called, “Rhythm Revolution.” I can attend this class whenever I am off from work. Yay! After her class, I was still basking in the glory of my spinning vigor. There is another fast paced cardio class on Friday afternoon called, Cardio Kickboxing, so I stuck around the gym to attend this class and convinced my friend Desiree to attend the class with me. (she decided to come to class instead of do her laundry.) I know the old body was saying to me, hey slow down, you’re not 20 anymore, but I didn’t listen. I went to Cardio Kickboxing and made it through those jabs, left hooks, football runs and upper cuts without a hitch. So did Desi. Double whammy Friday! Now I’m ready to start my weekend feeling energized. I was not a complete sloth when I got home from the gym. I prepped my veggies for tonight’s dinner. Chicken stir fry with quinoa. Not too riveting, but fresh veggies get me excited these days. (sad I know.) Here is a little tip I got from my mom. 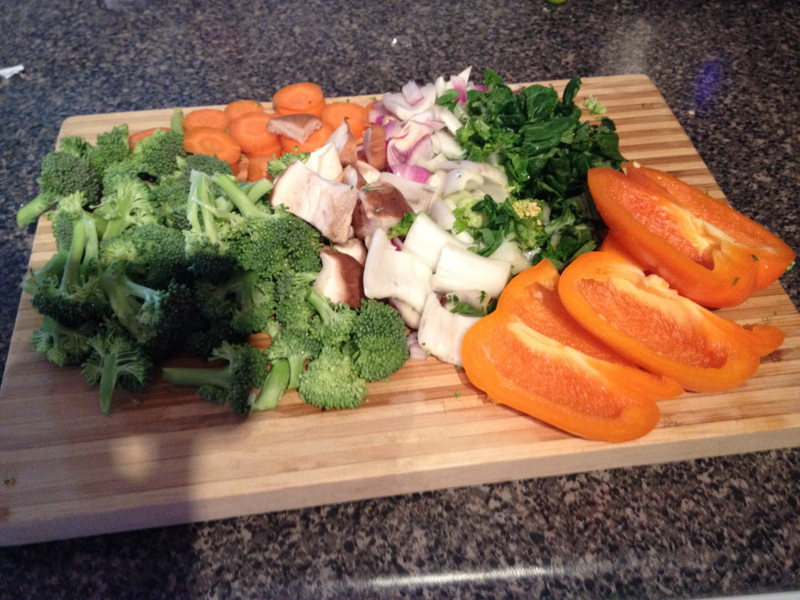 Instead of cooking your fresh vegetables, steam your veggies to keep in the nutrients. Once they are steamed to your liking, add them in with the cooked chicken to just simmer for a bit. Almost chopped and ready to be steamed. Upon exiting the gym, I noticed the countdown to clothes shedding season continues. 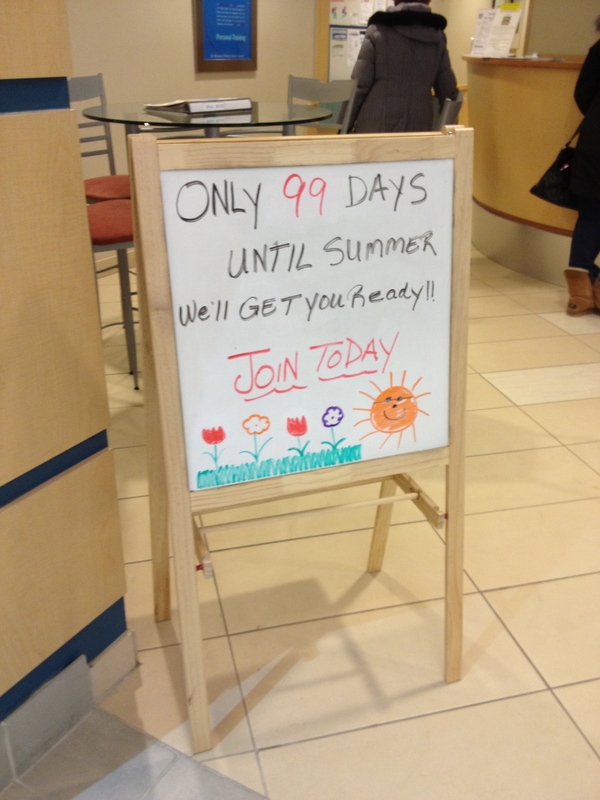 Only 99 days until summer, peeps! Enjoy your weekend and have fun. Any plans for St. Patty’s Day? If it’s not too cold on Sunday, I may check out the parade after church. Erin go Braugh and all that stuff.